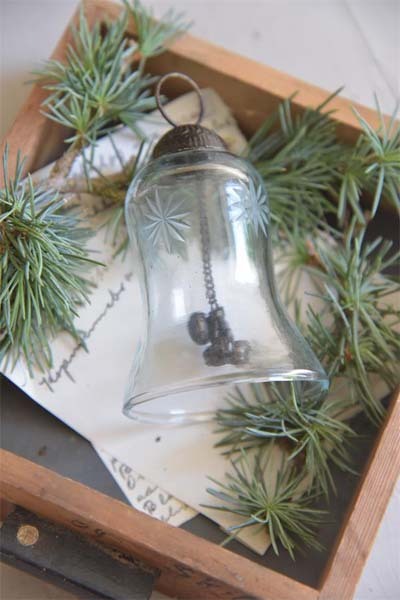 Beautiful petite glass bell ornament that can ring. Old world style... delicate... full of charm! 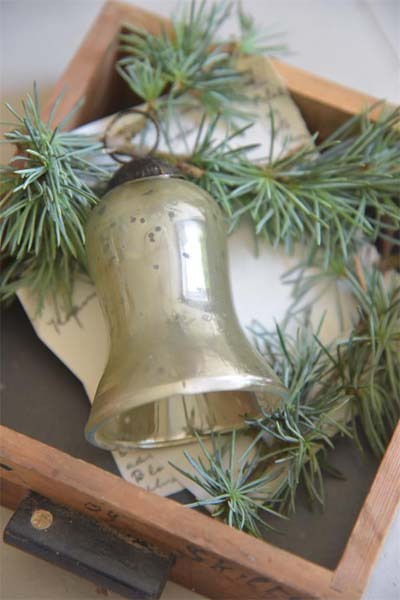 This bell will ship insured. 2.75"L. Imported from Jeanne d Arc Living, Denmark.